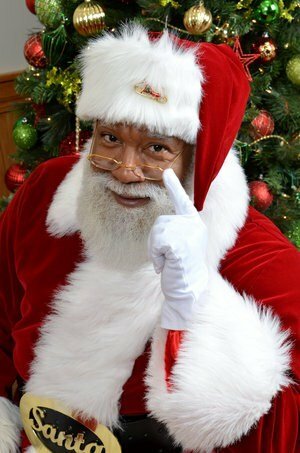 Larry Jefferson has been putting on a big red suit and perfecting his best ho, ho, ho for nearly 20 years. The retired Army captain plays Santa at shopping malls, holiday parties, and charity benefits. He hit the big time this year when he was handpicked at a Santa convention to appear at the Mall of America in Bloomington, Minn.
And by all accounts, kids and parents at the mall loved him. But when the story spread online, the negative attacks starting pouring in — because Jefferson is black. Click on the audio button to hear the full interview.